Summertime might just be the perfect occasion to celebrate Brooklyn, NYC. At least according to BRIC, the group behind the annual Celebrate Brooklyn! festival. Celebrate Brooklyn! is one of New York City’s “longest running, free, outdoor performing arts festivals,” according to BRIC, a performing and community arts group that has been organizing events in Brooklyn since 1979. This summer marks the 35th year that Celebrate Brooklyn! has delivered music, art, and a revitalized sense of community to the neighborhood, offering a wide variety of entertainment at the Bandshell in Prospect Park. 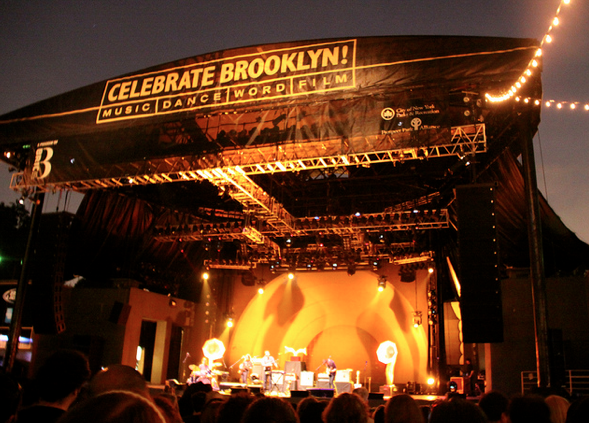 The iconic park is happy to play host to the festival; Celebrate Brooklyn! unites people from all over New York City, inviting them to its beautiful grounds for a wonderful summer evening. Celebrate Brooklyn! was originally created as “a catalyst for a Brooklyn performing arts scene and to bring people back into Prospect Park after years of neglect,” BRIC explains. From its 1979 beginnings to now, the festival has featured over 2,000 performers and artists that range from emerging bands to world-famous dancers, all of which impact more than a million neighborhood residents annually. The celebratory festival brings music, film, spoken word writings, theater, and dance to Brooklyn, inspiring a fantastic community gathering unlike any other. This summer you can expect to find a lineup just as exciting as the 34 that came before it, and best of all, it’s free! Keep a look out for acts like Patty Griffin, The Roots, Belle & Sebastian, Trampled by Turtles, Les Ballets Jazz De Montreal, Ben Folds Five, and many, many more. Be sure to visit Celebrate Brooklyn! this summer to enjoy one of the most anticipated festivals of the year! 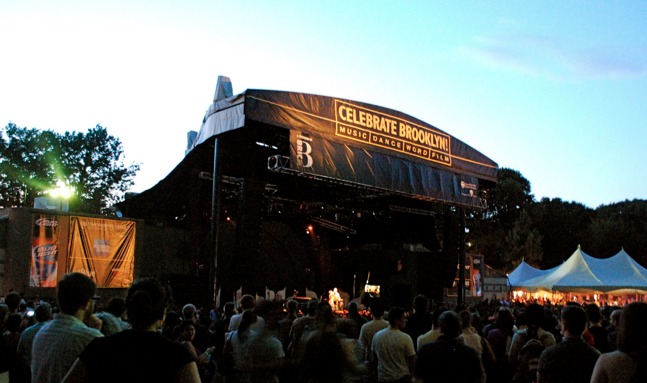 Take a peek at the full lineup for Celebrate Brooklyn! This entry was posted in art, Brooklyn, NYC and tagged BRIC, Brooklyn, Celebrate Brooklyn!, Celebrate Brooklyn! 2013, Celebrate Brooklyn! Festival, festival, NYC, Prospect Park. Bookmark the permalink.